STOUTLAND – The Licking Wildcats returned to the road on Fri., April 12, and pushed their winning streak to three with a 19-1 victory over the Stoutland Tigers. Licking took control early with five first inning runs. Carter Rinne doubled and scored on a Michael Milhizer single, and Hunter Krewson ripped a 2-run single to give starter Connor Medlock an early cushion. Medlock pitched the first two innings, allowed one run on two hits, and fanned four before giving way to Milhizer. Milhizer notched six strikeouts in his two scoreless frames, and Rinne finished up with a 1-2-3 fifth that included a strikeout. Licking’s Seth Farris went 3-for-5 with 3 RBIs to lead a 12-hit Wildcat attack. Rinne was 2-for-4 with four runs scored, Milhizer went 3-for-5 with 2 RBIs, Medlock collected two hits, and Gideon Antle hit his second home run of the spring, a grand slam, in the top of the fifth. The win boosted Licking to 7-3 overall and 1-1 in the Frisco League. The Wildcats welcome Mansfield to Deer Lick Park on Monday followed by a trip to Laquey Tuesday, and home dates with Crocker and Willow Springs on Wednesday and Thursday. Licking won the JV game on Friday 12-4 and improved to 3-2 on the spring. Landon Medlock was the winning pitcher in relief of Spencer Rogers. Levi Cantrell showed the way offensively with two hits in three trips, three runs scored, and he drove in one. Easton Ice went 2-for-4 with a double and 3 RBIs, Wilson Murray knocked in two runs with a pair of hits, and Kaiden Wantland was 1-for-2 with two runs scored and three stolen bases. 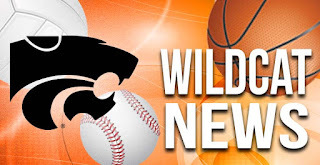 LICKING — The Licking Wildcats notched an important district win with a 4-1 decision over the Mountain Grove Panthers on Tuesday night, April 9, at Deer Lick Park. Wilson Murray went the distance for the win. Murray was efficient and needed just 78 pitches to finish the job. The sophomore righty allowed one earned run on six hits. He walked one and struck out three along the way. The Wildcats posted four runs over the first two innings. Michael Milhizer doubled in Gideon Antle and Connor Medlock drove in Milhizer later in the first inning. In the second, Reece Derrickson singled and scored for Licking, and Carter Rinne laced a run-scoring single to pad the lead. Four runs were more than enough for Murray who was backed with some solid defense. Licking did not commit an error and turned a double play in support of its starter. The win moved the Wildcats to 6-3 on the spring. Meanwhile, the junior varsity Wildcats saw their two-game winning streak snapped with an 8-2 loss to Mountain Grove. Easton Ice started and took the loss. Kaiden Wantland and Levi Cantrell were the only JV Cats to cross the plate as the bats were silent for the most part. Easton Ice went 2-for-2 in a losing cause. Cantrell had Licking’s other hit. The loss dropped the JV Wildcats to 2-2. LICKING — The Licking Wildcats rallied from four runs down to defeat Cuba 5-4 on Monday night, April 8, in Licking. Carter Rinne picked up the win in relief of starter Cainan Hutsell as the Wildcats improved to 5-3 on the season. Gideon Antle worked the seventh inning for the save. Cuba scored two runs in the third inning and two more in the fourth to grab a 4-0 lead. In the home half of the fourth, Licking tied the game with four of its own. Hutsell doubled in the inning and Seth Farris singled to build the rally. A bases-loaded walk plated Licking’s first run before Antle singled in two more, and Rinne tied the game with another single. In the sixth, Connor Medlock led off with a single and was bunted to second by Reece Derrickson. Wilson Murray reached on a fielder’s choice to put runners at the corners, and Hunter Krewson beat out an infield single to plate Medlock and complete the comeback. The JV ‘Cats edged Cuba 4-3 for their second win in a row. Spencer Rogers recorded the win on the mound in relief of Landon Medlock and Casey Huff. Easton Ice doubled, singled, and drove in two runs for the winners. The win pulled the JV above the .500 mark to 2-1. BOLIVAR – The Licking Wildcats traveled to Bolivar on Saturday, April 6, and split a varsity doubleheader with the Fair Grove Eagles. The games were played at Dodson Field on the campus of Southwest Baptist University. Licking took game one by the score of 12-6. Wilson Murray was the third of three Licking pitchers and was credited with the win for his two innings of scoreless work. Offensively, Gideon Antle reached base four times, drove in three runs, and scored once for Licking. Hunter Krewson ripped a 2-run double and ended the day with 3 RBIs, Seth Farris knocked in two, and Easton Ice finished 2-for-3. In the game, every spot in the Wildcat order reached base safely and scored at least one run. Fair Grove won the nightcap, 3-2. Licking trailed 3-0 heading into the bottom of the seventh inning and rallied but came up one run short. Connor Medlock turned in a strong start for Licking and took the tough luck loss. Medlock threw a complete game, allowed one earned run, scattered six hits, and fanned six. Cainan Hutsell turned in a 2-for-3 day at the dish for Licking that included an RBI triple. Antle collected a pair of hits, and Levi Cantrell went 2-for-2 with a pair of sharp singles while Murray singled in a run. IBERIA — The Iberia Rangers defeated the Licking Wildcats 7-2 on Tuesday night, April 2, in Iberia. Michael Milhizer put Licking on top with a solo shot over the wall in left in the second inning. Iberia answered with three runs in the bottom of the third, with the key hit a 2-run single from Isaac Lawson. Iberia added a single run in the fourth and three insurance runs in the sixth. Collin Riemensnider’s 2-run home run sealed the deal. Licking’s Wilson Murray started and took the loss. He gave three runs on three hits over three innings. Connor Medlock relieved for Licking and was touched up for four runs in an inning and two-thirds. Levi Cantrell worked a scoreless inning and a third. Licking’s offense was led by Michael Milhizer. He reached base three times, homered, and drove in a run. Gideon Antle scored, doubled and was 1-for-2; Seth Farris knocked in a run and singled; and Reece Derrickson went 1-for-3. Garrett Ray picked up the win on the mound for Iberia, toiling into the fifth. Zach Voss finished the game and earned the save. Licking fell to 3-2 on the spring and 0-1 in the Frisco League with the loss. In the JV game, Licking scored an 11-1 victory. Landon Medlock started and worked the first two innings, allowing one earned run on two hits. Spencer Rogers snared the win with three innings of scoreless relief that included four strikeouts. Levi Cantrell paced the JV Cats offense with three runs-batted-in. Cantrell blasted a 2-run home run and scored three times. Ty Wantland was 2-for-3 and Kaiden Wantland singled and scored twice. Easton Ice knocked in a run with a 1-for-2 night as the JV Cats leveled their season mark at 1-1.